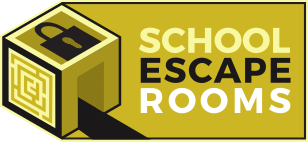 If your school is looking for a unique fun team building experience then our Team Building Mobile Escape Room boxes are a fantastic way for your teams of students to work together towards a common aim. We have two Team Building Escapes to choose with The Bank Heist having been differentiated for Primary (KS2) and Secondary (KS3, KS4. KS5) students. Our Mayan Adventure is for Secondary School Students. Can you students help an infamous explorer find the jewels and escape from within the walls of the Mayan Temple. Strictly for Secondary School students this is a tricky challenge that only the best teams should tackle. Due to the immersive nature of our Escape boxes groups will embrace the challenge to race their competitors in the chosen challenge. If you are looking for the ultimate challenge our full Mobile Escape Van certainly provides an experience that wont be forgotten. If any of these themes suit your requirements please do contact us.